As photographers on-the-go, sometimes we find ourselves with the need to produce studio-like results with portable flashes on location. This demonstration will show you how to achieve high key portraits with just a wall to bounce, a ‘white seamless’ background, and the SpinLight 360®. As you see in the image above, I used two Speedlites in the background, each on an opposite side, pointed at a 45 degree angle to the far side of the ‘seamless’ background. This crossing of beams gives an even coverage of light spill off the flashes and evenly illuminates the background. The problem with high key photography is twofold: 1. When you have too much light hitting the background some of the light will bounce onto the subject and will create a halo effect (see image below), and 2. Direct flash light coming from the two side Speedlites illuminating the background needs to be blocked from hitting the subject. The easiest way to resolve these problems are to point the two flashes as described earlier (45 degrees to the far side of the background) and rotate the SpinLight 360® bounce card (either the black or white), preferably the largest one you have, to a position that the card will block the direct flash light from hitting the subject (see image below). 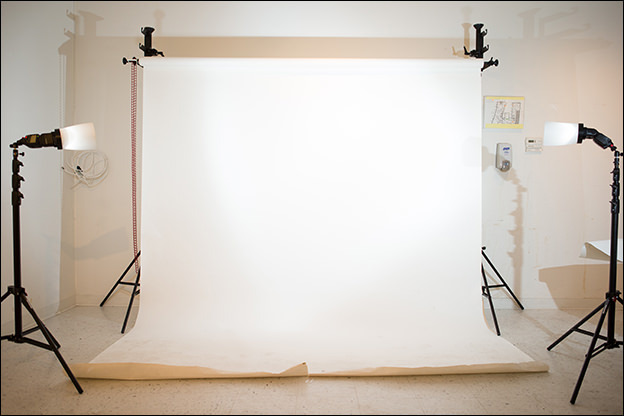 Now take a picture of the seamless background and increase the power of the flash up to the point that the white background will show in the back of the camera the blinking effect (this option must be enabled on your camera). This means that the sensor reads the white background as a 255 value and this will give you the high key effect you’re looking for (see image below). No detail in the white will be recorded-it will be pure white. As an alternative you can also look at the histogram which will be pushed all the way to the extreme right. 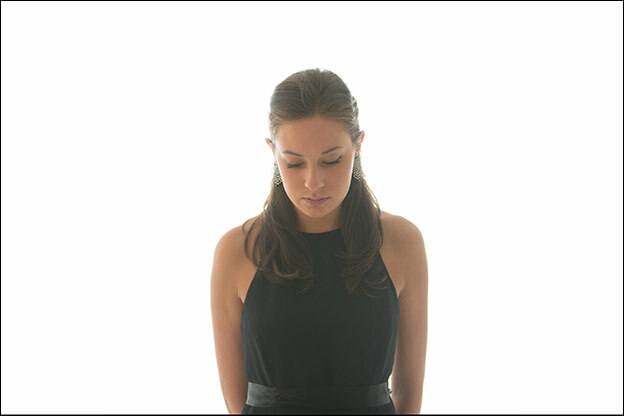 Make sure not to overpower the light on the background which would give you the halo effect. Please also note that having the subject too close to the background could also cause the halo effect. In this demonstration I added a hair light and a main light on the left side of the camera, which I used to bounce the light off the white wall to the left, acting as a huge softbox. 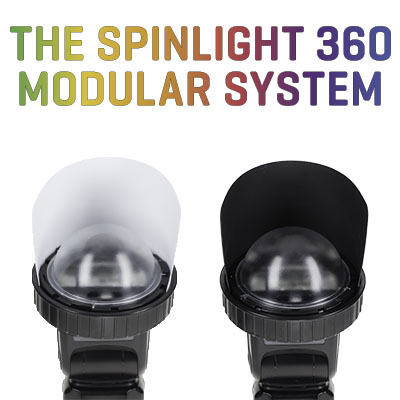 Please take a look at all of the SpinLight 360® light modifier options. 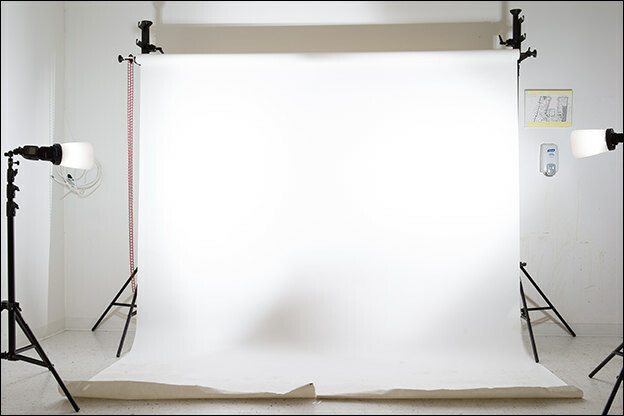 You can be VERY creative with the modifiers, gels and lighting setups to produce a wide variety of looks. See images below. The image you see below is the result of the setup we just discussed. This image was shot at 1/100 sec. at f/8.0, ISO 800, 105mm.